Rising Bluegrass and Americana group Nu-Blu has released their latest single, Gypsies on Parade. The song serves as the band’s debut release to Grassicana radio. The award-winning group partnered with Cowboys & Indians to unveil the official video for the track. The publication is well-known for spotlighting and featuring top entertainers in multiple fields such as Willie Nelson, Matthew McConaughey, Clint Eastwood, and more. Cowboys & Indians describes Nu-Blu as blending their Southern roots into heartfelt all-American music. Touring over 200 days a year, ‘Gypsies On Parade’ is more than just a song, it’s our life. It’s a life of ups and downs, and we wanted to bring each of you a glimpse of that – Carolyn Routh, Nu Blu. Gypsies on Parade is featured on the band’s latest release, Vagabonds, released via Voxhall Records. The lyrics from the track helped to determine the title of the album, with the key line, “gypsies on parade, vagabonds that got it made.” The track might sound familiar to some fans, as it was written by Sawyer Brown’s Mark Miller and released on their 1986 album, Out Goin’ Cattin’. The original served as the inspiration for Nu-Blu’s new, Bluegrass/Americana take on the Country band’s song. Nu-Blu will continue to spread their music to new audiences throughout North America during their “Vagabonds Tour.” With festival season kicking into high gear throughout spring and summer, Nu-Blu is set to have one of their busiest touring years to date. Already in 2018, the band has made major appearances at the national NAMM show in Anaheim, Calif., along with playing the Watson stage at MerleFest in N.C. For the latest tour dates, and all things Nu-Blu, visit their website. Bluegrass sensation Nu-Blu just unveiled the brand new video for their current single, “Still Small Voice.” The song serves as their lead release from their brand new album Vagabonds, which was released last month. The upbeat sing-along also features Country Music Hall of Fame Statler Brothers singer Jimmy Fortune, with special guest, Gospel award-winning singer Ben Isaacs. The video premiered exclusively on The Boot. Fans can buy “Still Small Voice” and the latest album on iTunes, Amazon and wherever music is sold. Our new video for ‘Still Small Voice’ was a load of fun to make. We always have a great time collaborating and creating, but this video uses a little different approach. We take you inside the studio to get a real up-close and personal look at our recording process – Carolyn Routh, Nu-Blu. Filmed at Red Squared Audio in North Carolina, Nu-Blu took fans inside the studio for the fun video which features the band recording the upbeat bluegrass favorite. The video also includes in-studio footage of Jimmy Fortune and Ben Isaacs tracking Jimmy’s vocals with Nu-Blu during the session at Skaggs Place Studio in Hendersonville, Tennessee. The single continues to generate buzz at radio and beyond with ParcBench saying that “like nearly every track, the single is thoughtful and inspiring…” Radio DJs can download the full album on AirplayDirect now. 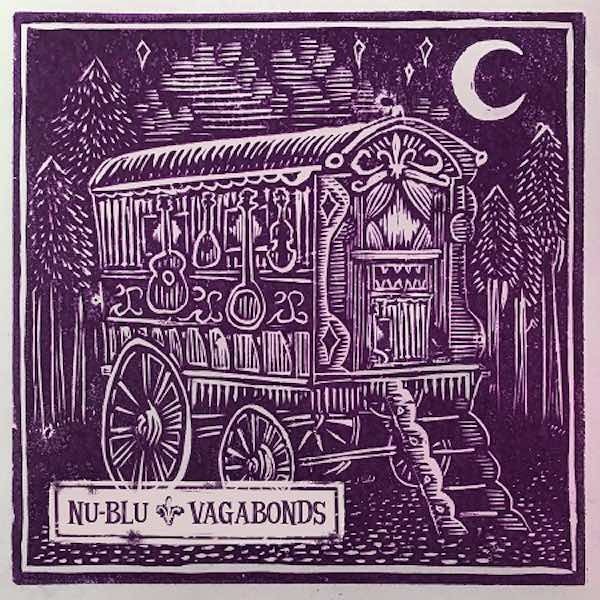 Nu-Blu are gearing up for the release of their upcoming project, Vagabonds. The album will serve as the award winning band’s sixth studio album, and is set for release on April 28. The album is fuelled by the latest lead single, “Still Small Voice” featuring Country Music Hall of Fame Statler Brothers member Jimmy Fortune. The project will be released via Voxhall Records, and made available on iTunes, Amazon and other record stores. Vagabonds has been an emotional endeavour from the beginning. For seven years now, having spent over 200 days each on tour, the road has become our home. We have seen a lot, done a lot, and embraced life not only through our own experiences, but also through the lives of those we have met. This project reflects the collective heart and soul of them, and of ourselves along the way – Carolyn Routh, Nu-Blu. Vagabonds first single is “Still Small Voice. It features Jimmy Fortune, who also co-wrote the song alongside Tony Lopacinski and Devin Belle. Accompanying lead singer Carolyn Routh and Fortune on harmonies is Dove Award winning singer Ben Isaacs. The song has already begun to generate traction since being released earlier this year, recently climbing its way to No. 3 this week on Roots Music Report’s Top 50 Contemporary Bluegrass Song Chart, which counts down the top songs in the genre. Bluegrass band, Nu-Blu has just released the 2nd in a 3-part series of new video releases. This song is titled It’s a Good Day To Be With You. This warm, loving ballad slows it down a bit, while still maintaining the band’s contemporary style. We continue to encourage fans to share this video, and inspire others to hear this incredible music. Several individuals and media have already taken part in this. If you haven’t started, we challenge you to be a part of the release by sharing the video on websites, facebook, twitter, instragram, and any other social media site – Nu Blu. The first video has already been released for the song Trains I Didn’t Take. The third, and final video to be released is for the track, Without a Kiss. 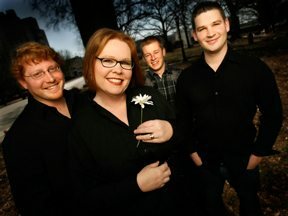 Nu-Blu, based in Siler City in central North Carolina, is composed of Carolyn, who handles bass and vocals; Levi Austin on vocals and banjo; Austin Koerner, who plays mandolin; and Daniel, who is the band’s Renaissance Man – guitarist, singer, manager, and tour coordinator, among many other roles. The group brings its lively and entertaining version of Americana-bluegrass music to audiences across the nation year-round. Their sound acknowledges the traditional institutions that have shaped it, yet is innovative and daring enough to bring a fresh sparkle to contemporary acoustic music that lands them squarely in the forefront of bands blazing the trail in Americana entertainment. 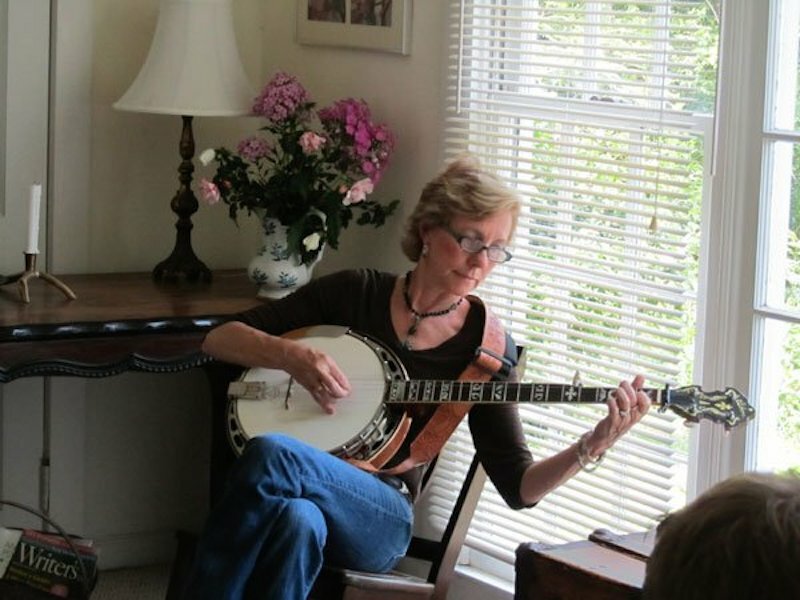 Influences range from the sounds of original bluegrass pioneers like Earl Scruggs, Jimmy Martin and Lester Flatt to rock bands of the 1980’s, and modern contemporary sounds such as Alison Krauss and Union Station. Nu-Blu’s full, welcoming sounds provide a home for listeners and encourage them to explore new sounds, create personal roots, and imagine music free from labels. 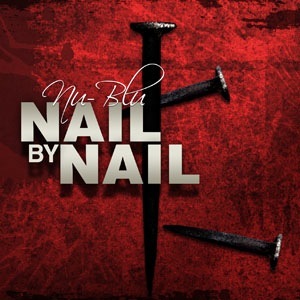 Nu-Blu has embraced the Gospel tradition of bluegrass with their first all-gospel album, Nail by Nail, now available on Pinecastle Records. This special new project includes the recently released first single, “Martha and Mary” that was written by Becky Buller and Nancy Cardwell. The song debuted earlier this month at #8 on the Bluegrass Today Weekly Top 20. The album was recorded and produced by Nu-Blu at Red Squared Audio, located in Siler City, NC. 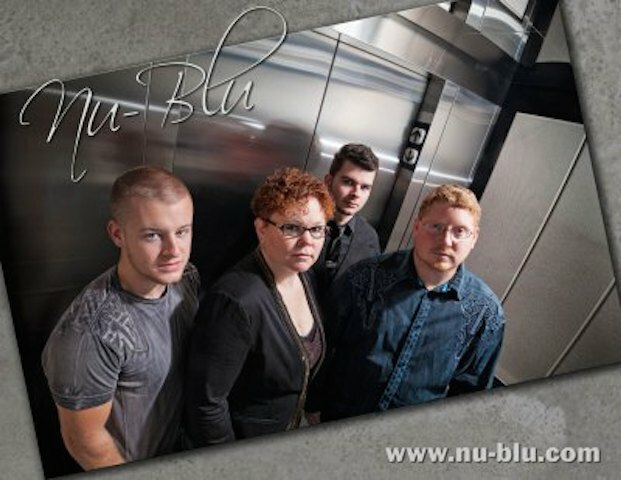 Nu-Blu includes the talents of Daniel Routh, Carolyn, Routh, Levi Austin< and Austin Koerner who have been extremely busy on the road this year performing over 70 dates at festivals and concerts throughout the USA and Canada. 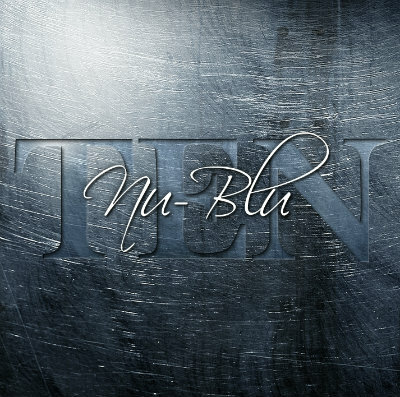 Next year Nu-Blu will celebrate their 10 year anniversary, so for updates and tour information, please visit www.Nu-Blu.com, Facebook and Twitter. For more information on Pinecastle Records, please visit www.PinecastleMusic.com. Pinecastle Records has announced today’s new single, “Martha and Mary” by Nu-Blu. The song was written by Becky Buller and Nancy Cardwell and appears on Nu-Blu’s first gospel album, Nail by Nail set for release 30th October, 2012. The single has been serviced to bluegrass radio stations and is also available at AirplayDirect.com. The story of Martha and Mary is one of the great Gospel stories of the Bible. Nu-Blu’s latest single, ‘Martha and Mary’ reminds us that there is a little bit of Martha and a little bit of Mary in each of us. Talk about getting a listener – any listener – to relate to the song’s message, Nu-Blu has a sure-fire winner in this song, destined to be a favorite among fans and radio programmers alike – Brian McNeal, Prescription Bluegrass. The label released Nu-Blu’s The Blu Disc last year that included the impressive single “Other Woman’s Blues” that was also released as a music video. 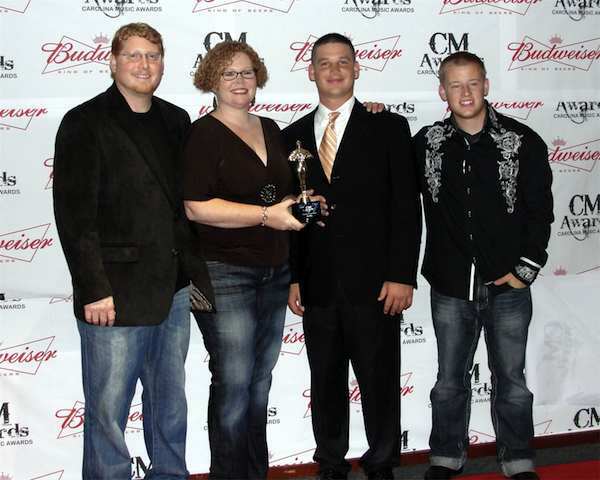 Pinecastle also released a holiday single, “Christmas in Dixie,” late last year as well. Just a few short weeks later, that holiday favorite reached the #1 spot on the Airplay Direct’s Top Bluegrass Album Chart. Pinecastle recording artist, Nu-Blu are celebrating the number 2 song, Other Woman’s Blues on this month’s Power Source Magazine’s Top 35 Bluegrass Songs. This is the first single from the band’s new album, The Blu-Disc is now number 7 on Bluegrass Music Profiles Magazine’s Top 10 Album chart and number 14 on the Roots Music Report’s Top 50 Bluegrass Albums. The band recently released a new music video of Other Woman’s Blues that is a clever answer song to Dolly Parton’s mega hit Jolene (written from Jolene’s point of view.) The video premiered on The Alternate Root and can now be viewed on numerous other sites including, Bluegrass Today, Pinecastle Records, Cybergrass, The Country Network, YouTube, Nu-Blu.com, and more. Carolyn rises gracefully into her high, keening register at points, as crystalline and gently piercing as Ms. Krauss herself, with the effect lent extra poignancy by the subdued, rustic guitar-mandolin-dobro backdrop fashioned by Messrs. Routh, Gales and Ickes – The Bluegrass Special. I see no reason why this disc can’t figure for several IBMA Awards in 2012 Mighty fine, mighty fine – Music News Nashville. This album holds many surprises with superb musicianship, and fine sounding vocals making this CD very easy listening. The Blu Disc will surely become a must have in any serious contemporary Bluegrass collection. 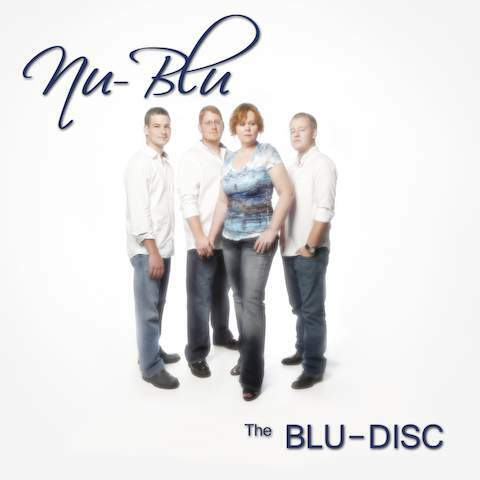 Congratulations to Nu-Blu – Australian Bluegrass Blog. With so many new bands appearing on the scene, it’s nice to find one with a passionate regard for messages in songs and a strong, driving bluegrass instrumental backdrop to accompany them – California Bluegrass Association.